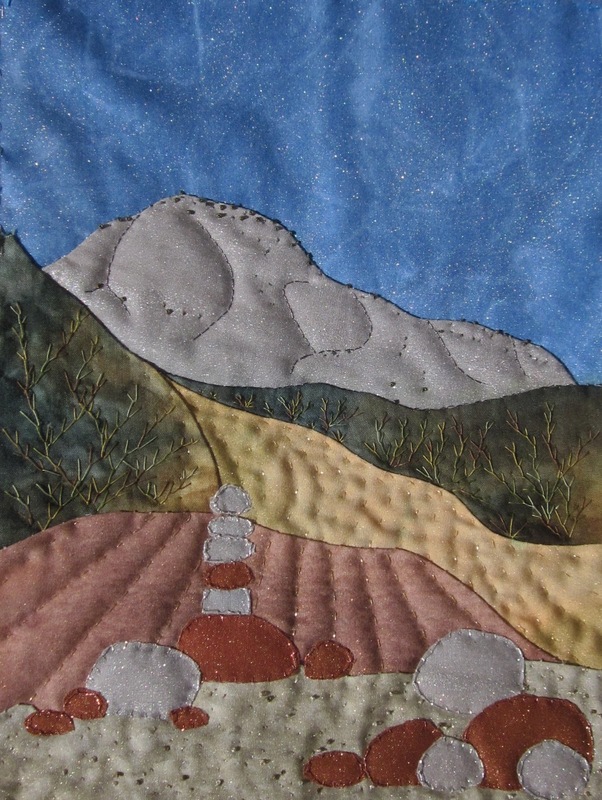 Adventures in Stitching: Zion trail landscape done! Last June we took a wonderful trip to Utah. We spent a fantastic afternoon exploring a little side canyon in Zion National Park, that had amazing, undulating sections of steep-sided slot canyons, gentle rock slopes to scramble on, a thousand small cactuses and lizards the boy marveled over, and pink sand that the little girl just loved. Unfortunately, we did eventually have to leave-- and we made a rock tower to mark the turn off back to the car. This photo is one memory of that afternoon, of how reluctant we were to leave but how happy and thankful we were to be there in the first place. This measures about 8x10. Still (always) learning this craft but each one seems a little better. It is hard to improve upon reality but with glittering fabrics and threads and a wonderful memory, at least you can try. 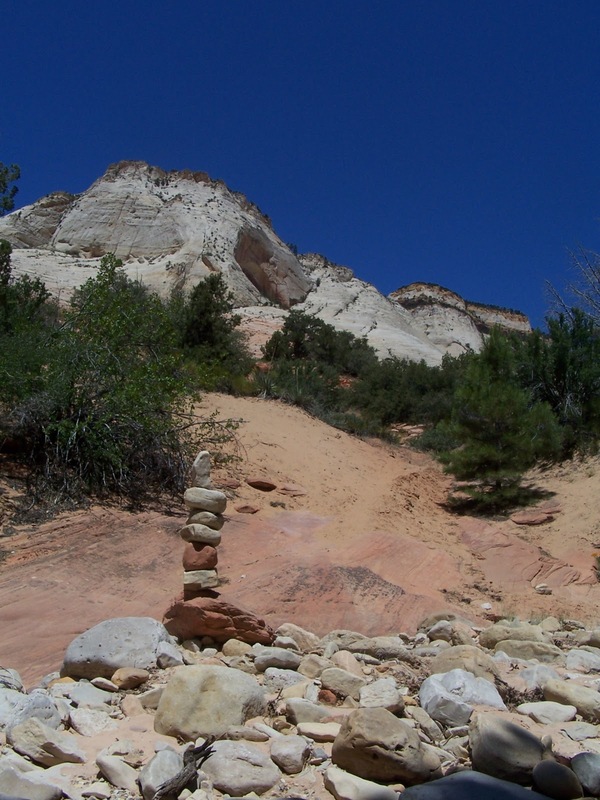 Love how this turned out - and thank you for the explanation of the rock tower!